Economics: Fiscal and Monetary Policy (‘End the Fed’). Ron Paul is a bit of a phenomenon. His message of expanding personal freedoms and getting government out of the way in order to let free enterprise thrive certainly hits home with many people (who isn’t in favor of expanding personal freedoms and a healthier economy?). However, while he has certainly gathered an enthusiastic (largely young) fan base, the disconnect between the rhetoric and the reality of his policies continues to keep him from becoming a true GOP contender. Ron Paul’s vision of personal freedoms is highly subjective. His idea of personal freedoms simply means the federal government shouldn’t have a say in private matters (ie. gay marriage, drug use, abortion, even segregation). What this means is, women’s rights to choose is up to the state. If California wants to allow abortions while Texas wants to completely ban them, that is a state matter and the federal government should have no right to overrule Texas law. Likewise with drug use and even segregation. In fact. Ron Paul openly opposes the Civil Rights Act of 1964. What all this translates to is that Ron Paul doesn’t feel that the federal government should have a say in matters of personal freedoms. States themselves can have their say. Using Anti-miscegenation laws (laws prohibiting interracial marriage) we can get a sense of how allowing states to decide personal freedoms has worked in the past. In 1967, Loving v. Virginia rendered Anti-miscegenation laws unconstitutional. By this time, several states had already repealed such laws, but several more were still enforcing them. Under Ron Paul’s philosophy regarding personal freedoms, the federal government should have no say in this matter and leave the states to decide this for themselves. Many Ron Paul fans carry this misconception that the free market would have magically ended segregation. This fallacy ignores history. In fact, the free market favored segregation at the time. Ron Paul’s opposition to the Civil Rights Act becomes even more peculiar when we consider the racist newsletters sent out in his name. As he has become a serious contender for Republican nomination, the spotlight has revealed (or rather, brought to the mainstream) some racist comments appearing in newsletters under his name. His defense as of late is that he didn’t write them and even that he didn’t read them (this being the justification for never having disavowed them). There is one problem: he and his campaign are on record defending these comments in 1996 when he was running for Congress in Texas (making it difficult to believe his recent explanation that he never read them). Opposes the Civil Rights Act of 1964 and Voting Rights Act. Has the same “small federal government” philosophy that’s been popular with those who oppose the Civil Rights Act of 1964 and Voting Rights Act. Taken individually, none of the above facts make the case that Ron Paul is a racist. It’s entirely possible that he truly believes that a small federal government is best for everyone and that the Civil Rights Act was unconstitutional. But take them together and add the existence of racist comments made in newsletters that he’s reinforced in the past (when running for Congress in Texas) but suddenly disavowed once becoming a potential candidate for the presidency and you have a pretty good case that either Ron Paul is racist himself, or that he at least leverages racist sentiment (and isn’t necessarily a racist individual himself) to drive support for his campaign given the “coincidental” support the small government/free market movement receives from individuals who know that cutting programs aimed to alleviate poverty would disproportionately affect minorities. Ron Paul favors a flat tax rate, the dismantling of our social safety net (in favor of privatized counterparts), doing away with the Federal Reserve and a return to the gold standard. The argument here is that getting government out of the way and returning to the gold standard would lead to a better, more stable economy with “sound money.” While Ron Paul has amassed a huge number of followers who believe this, economic history tells us a different story. 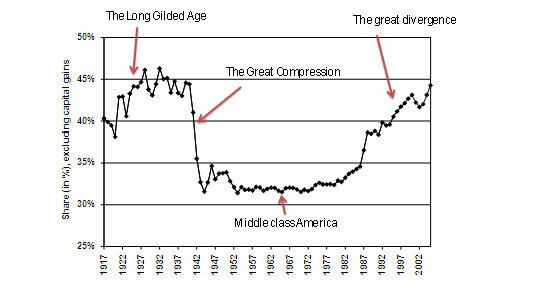 The middle class as we’ve come to know it (you know, the 1960’s middle class of “Ozzie and Harriett” as Paul Krugman puts it, wasn’t created gradually over time. 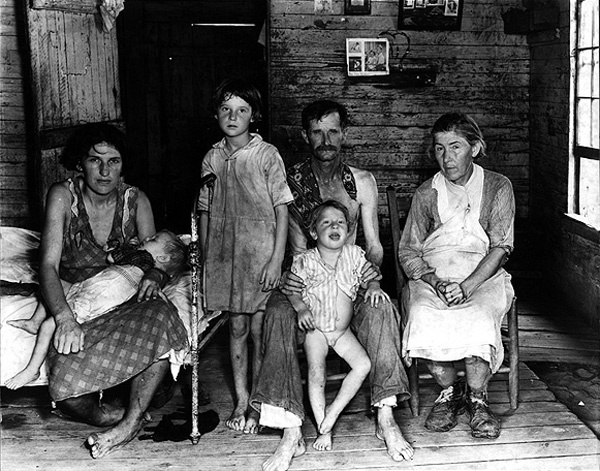 Rather, the data shows that incomes were quickly compressed shortly after the implementation of the New Deal. 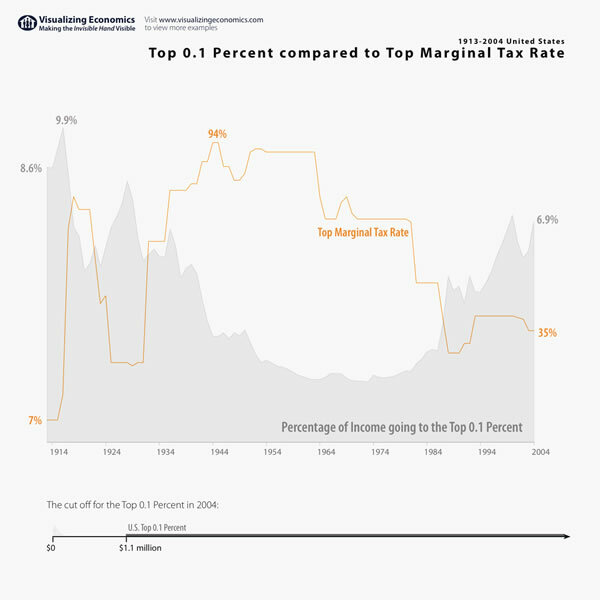 Through a stronger social safety net, unionization, higher top marginal tax rates and more, incomes would remain relatively ‘compressed’ until the early 1980’s. What the 1980’s saw was a dismantling of what the New Deal era created. 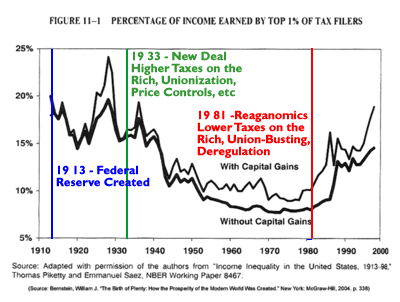 Taxes on the wealthiest Americans would drop substantially (Reagan actually increased taxes on the lower income earners) and union busting would largely do away with unions. What we would see is a much larger concentration of wealth at the top and real income for the middle and lower earners would actually drop. And this leads us to where we are today. The United States has the largest wealth and income disparity in the industrialized world. 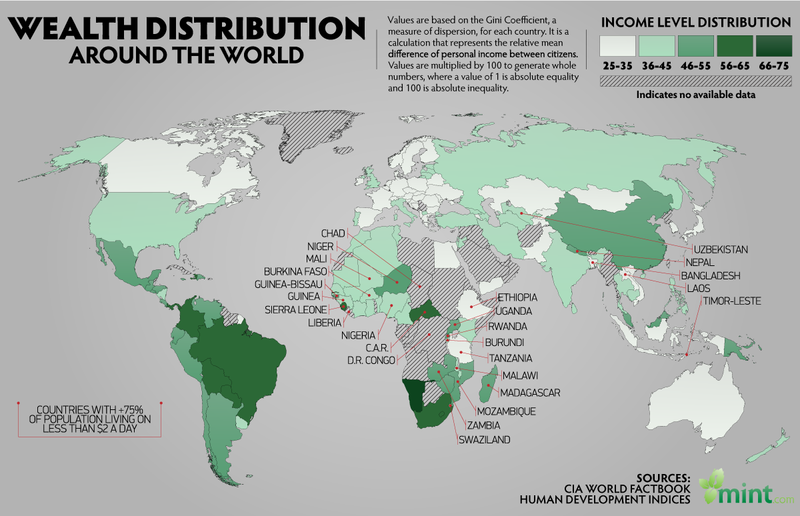 In fact, the wealth inequality is closer to that of many developing nations. 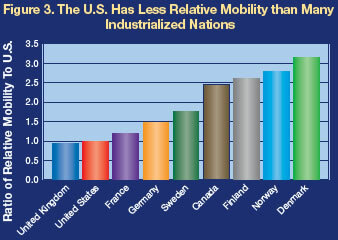 And for all the talk of our “freer” market creating more opportunity for advancement, the truth is, social mobility among the lowest in the US when compared to other western nations. 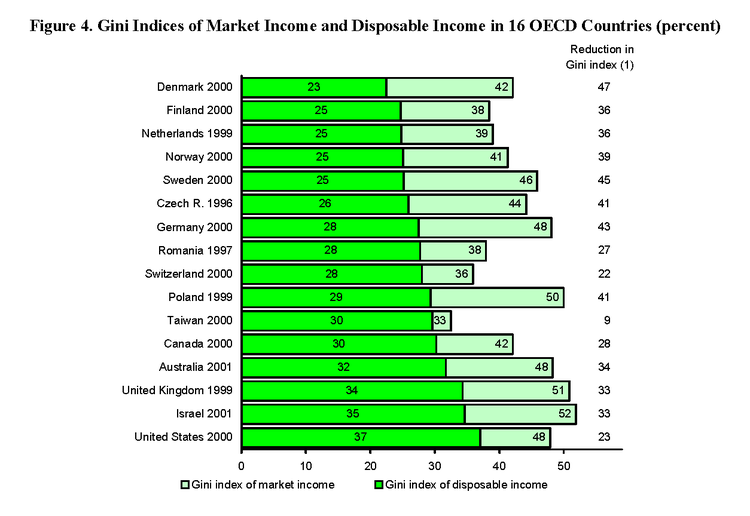 What Ron Paul (and other small government/free market advocates) would have you believe is that the United States is a cradle-to-birth nanny state which makes social mobility difficult. What they advocate is smaller government and less regulations. In reality, the US’s adoption of these policies over the last 30 years has largely been the cause of our wealth inequality and relative lack of social mobility. Ron Paul makes no secret about wanting to end the Federal Reserve and return to a gold standard. His reasoning: The federal reserve muddles the markets and devalues the value of the dollar by printing money and bailing out banks, and our fiat currency, not backed by something as established and stable as gold is comparatively worthless. According to Ron Paul, the federal reserve and use of a fiat currency (as opposed to one backed by gold) leaves us with an unhealthy and unstable economy and money supply. In truth, it does sound good from a soft of folk science/gut feeling sort of way. But as with many macroeconomic subjects, economic history on both of these matters contradict the soundbyte logic people like Ron Paul use to make their points. Bank runs have been happening since at least the 1600’s. Financial panics have led people to run to the bank to withdraw their money (before the bank closes and they lower their savings). The more people who do this the more panic ensues, which causes more people to do this. This sort of rational irrationality (it makes sense for an individual to worry about their savings but when everyone has the same concern and pulls out at one, everyone loses their money) is why the Federal Reserve is needed. The existence of a central bank with enough capital to keep banks from failing keeps depositors assured their savings won’t go away and helps subside these panics (see Financial Panic of 1907). Shortly after 9/11, Alan Greenspan and the Federal Reserve were instrumental in preventing a widespread panic. 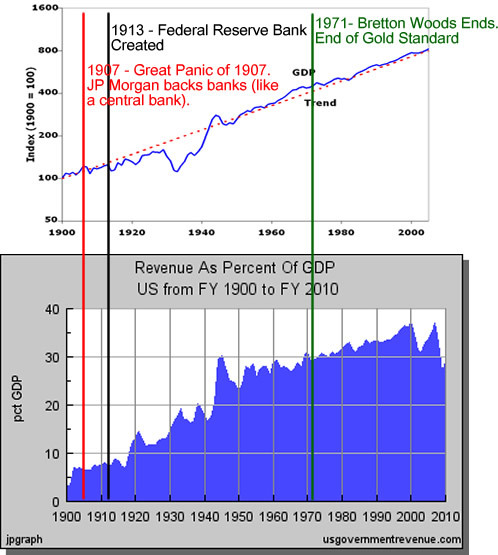 Prior to the existence of the Fed AND the Gold standard, the economy was actually far less stable. Without a central bank to keep unpredictable financial markets from engulfing itself in herd behavior-led panics, and with a currency that was limited in and inflexible (because its value and supply was tied to a supply of gold reserves) the business cycle was far more volatile and spent more time in recession than in the last 50 years. Ron Paul would have us believe that the existence of the federal reserve is what’s causing the wealth disparity noted above. But this wealth disparity disappeared and the middle class created during the New Deal. 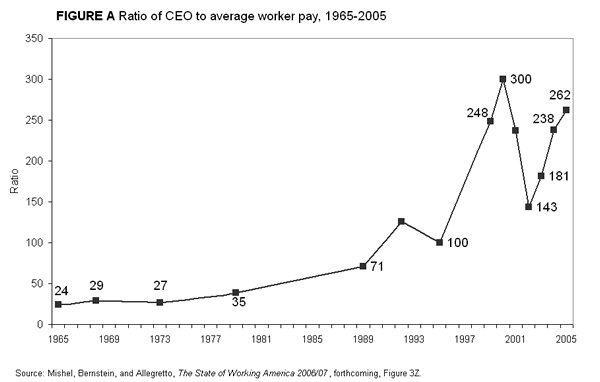 Wealth disparity reappeared and the middle class has largely been dismantled with Reaganomics/Supply side economics. Both of these happen well after the Federal Reserve Act of 1913. The problem isn’t the value of the dollar (after all, the rich are doing just fine being paid in dollars), but rather the ratio at which working class Americans are paid as opposed to the top 1-5%. Return to the gold standard? It’s just crazy enough for some state legislators to propose it. While it’s true that corporatism exists and is a problem, much of what Ron Paul considers corporatism is comprised of important investments into our economy. For example, money being invested in solar and wind technology is money that is paid to companies to build and expand their business. Ron Paul and people like him consider this “picking winners and losers” and expect the free market to make us energy independent. But this expectation is a fallacious. Newer technologies like wind and solar can’t compete with fossil fuels until they’ve become large enough to develop a similar economy of scale. At this point, this technology becomes more cost-effective and easier to replicate. Leaving this process to the free market means waiting until the day the supply/demand curve drives the cost of fossil fuels so high that alternative energy becomes the focal point for private investment. This process is fine of course, for climate change deniers (which Ron Paul happens to be). Another ‘example’ often cited as examples of corporatism, corporate welfare and crony capitalism are the existence of subsidies. The problem is this: these subsidies tend to come in the form of tax cuts/tax credits. However, Ron Paul also believe that corporate taxes are too high. This makes for an awkward position. Ron Paul’s plan of cutting down federal regulations would actually leave states at the mercy of companies who would no longer be subject to regulations by agencies that would be cut (like the EPA). Absent federal regulations and controls, corporations would then be able to play states against one another. Corporations would freely move across states lines to states that offered the highest subsidies and allowed corporations to cut costs by way of allowing them to simply pollute their air and rivers and pay their employees less. Corporate welfare would become the norm–on the state level. This is a point that’s lost on Ron Paul followers (along with other adherents to “free market” philosophy). Regulations work because they ensure everyone plays by the same rules. Absent these regulations, corporations will simply externalize costs (like polluting water and air instead of incurring the costs to dispose of pollutants properly). They would do this because not doing so would put them at a price disadvantage against those who cut their costs by simply dumping pollutants in the most cost-effective manner. 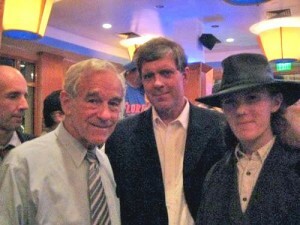 The nicest thing I can say about Ron Paul is that he is simply wrong. His version of America would like the gilded age where virtually all of the wealth is concentrated on a few Robber Barron-like elites, and the bulk of the remaining population lives in poverty and with no social safety net. It should be noted that Ron Paul doesn’t accept evolution or climate change. While anti-evolution and climate change denial are still common in the US, and the science behind the fact of evolution and human caused climate change are well beyond the scope of this blog post, a comprehensive collection of responses to anti climate change and evolution arguments can be found in the links below. A common objection by Ron Paul supporters is that Ron Paul isn’t running for a science post of some sort and that this should not be an issue. But this ignores a couple of glaring facts. A president has the power to appoint members to his cabinet as well as sign or veto legislation that can affect science standards. Ron Paul has already gone on record that he’d like to get rid of the EPA (Anyone who thinks the EPA is unnecessary should spend some time in an industrialized country that doesn’t have such an agency). Furthermore, it should give us all pause when an elected official overlooks established science due to ideology (whether religious fervor that leads on to deny evolution or some free market/Ayn Rand fervor that biases one against anything that could potentially argue for more government involvement). Ron Paul and the Fox News host agree that “it’s getting cooler.” This is one of the more common arguments used from the climate change denial template. There are two variations of this. One ignores the overall increase in temperature by focusing on the exceptionally hot year of 1998 and comparing this to subsequent years, while ignoring the overall trend (see graph below). Another variation of this argument focuses on regional cooling while ignoring overall heating and other factors (ie melting ice caps, heating ocean currents, etc).